Eng vs Pak 1st ODI 24th August 2016 Live Streaming Score Result Ball By Ball Highlights :- After the drawn Test Series, the Pakistan and the Three Lions are ready to battle in the coloured clothing. Pakistan and England will lock their horns at The Rose Bowl, Southampton on August 24, 2016. The Pakistan team is must be feeling proud after drawing the test series by winning the first and last test match. And now, they will enter the limited over cricket under the captaincy of Azhar Ali. The new faces will be seen in the coloured clothing as the likes of Babar Azam, Imad Wasim, Sharjeel Khan and Shoaib Malik will come to limited over the squad. Also, Umar Gul has made a comeback to the limited squad after the gap of 3 years. EManhwile, Pakistan will enter this match on the back of winning 2 the match ODI series against the Ireland. The first ODI against Ireland was just nothing sort of Sharjeel Khan show when the left-hander batsman smashed 152 runs. And then, Imad Wasim claimed his maiden fifer to thrash the Ireland batting department. Meanwhile, the second ODI was washed out by rain. Pakistan has got the most balanced side as their batting and bowling looks more settled. Although there is few area of concern for the think tank of Pakistan as Mohammad Hafeez has been out of form since the Test series and he was dropped from the last Test match. Apart from this, Pakistan is looking good and they, just need an all-around performance to register the win in this match. 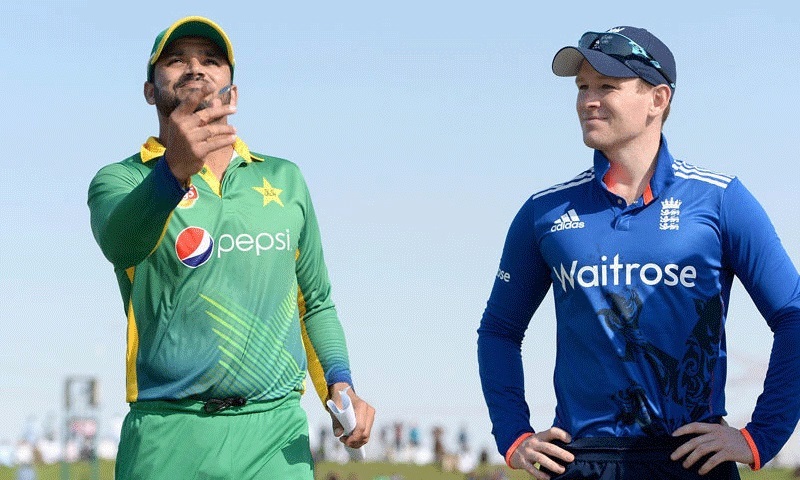 The England will enter the ODI series with their limited over captain Eoin Morgan. Also, Ben Stokes and Mark Wood will return to the squad for the ODI series. The batting unit of England will revolve around the Joe Root, Eoin Morgan, and Joss Buttler. These three holds the key to the success of this team. Also, Jason Roy and Alex Hales have impressive everyone with the solid opening partnership. Moeen Ali, Jonny Bairstow, and Chris Woakes are the other names on which England relies. Meanwhile, there are few concerns the England team as young and promising all-rounder David Willey has been ruled out of this series with an injury. The England team has impressed everyone in recent time. And, now English fans will except their home team to win the series, especially after the Test series that they should have won easily. Jason Roy, Alex Hales, Joe Root, Eoin Morgan(c), Jos Buttler(w), Jonny Bairstow, Moeen Ali, Chris Woakes, David Willey, Adil Rashid, Liam Plunkett, Mark Wood, Ben Stokes, Chris Jordan, Liam Dawson. England has an over England, but there is rain forecast, so there is a possibility of a draw in this match.